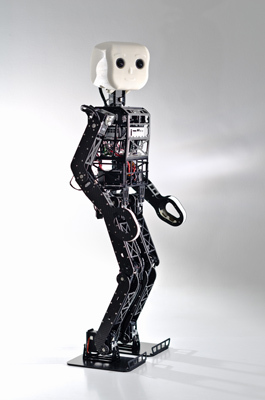 We developed a ROS-based software framework for the robot providing functionality for hardware abstraction, visual perception, and behavior generation. The framework has been used to implement basic soccer skills. For the initial release, we developed Linux-based software, starting from the open-source software that Robotis released for DARwIn-OP. 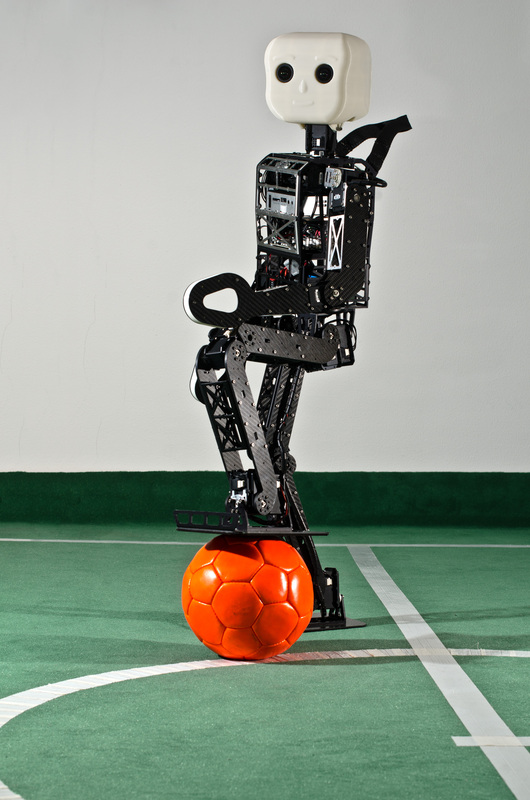 This software supports ball perception, walking, kicking, and getting-up motions. We made the necessary modifications for the NimbRo-OP robot and included some new features, such as two gait stabilization mechanisms, tilt estimation, instability detection, and correction for the distortion of the wide-angle lens. Please discuss all questions related to the NimbRo-OP robot at RobotSource.org . In Proceedings of 7th Workshop on Humanoid Soccer Robots, IEEE-RAS International Conference on Humanoid Robots, Osaka, November 2013. 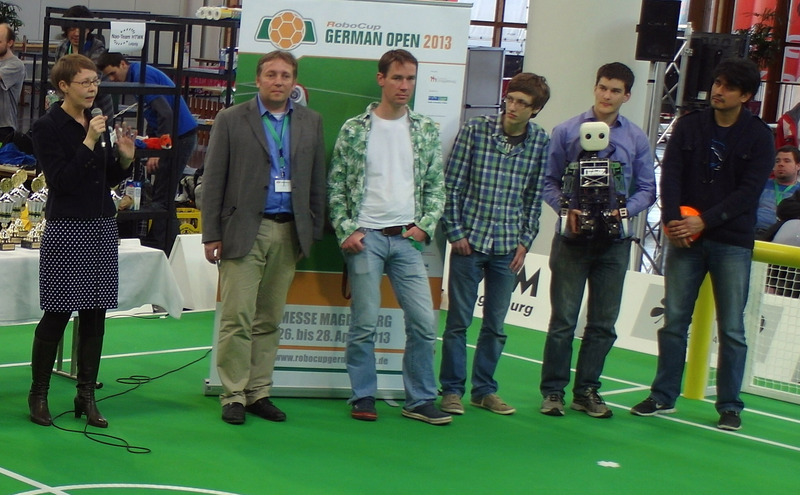 NimbRo-OP received the HARTING Open-Source Award at RoboCup German Open 2013. 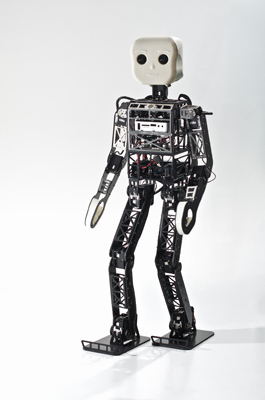 NimbRo-OP was demonstrated at the Robotis booth at the IROS 2012 and Humanoids 2012 exhibitions. 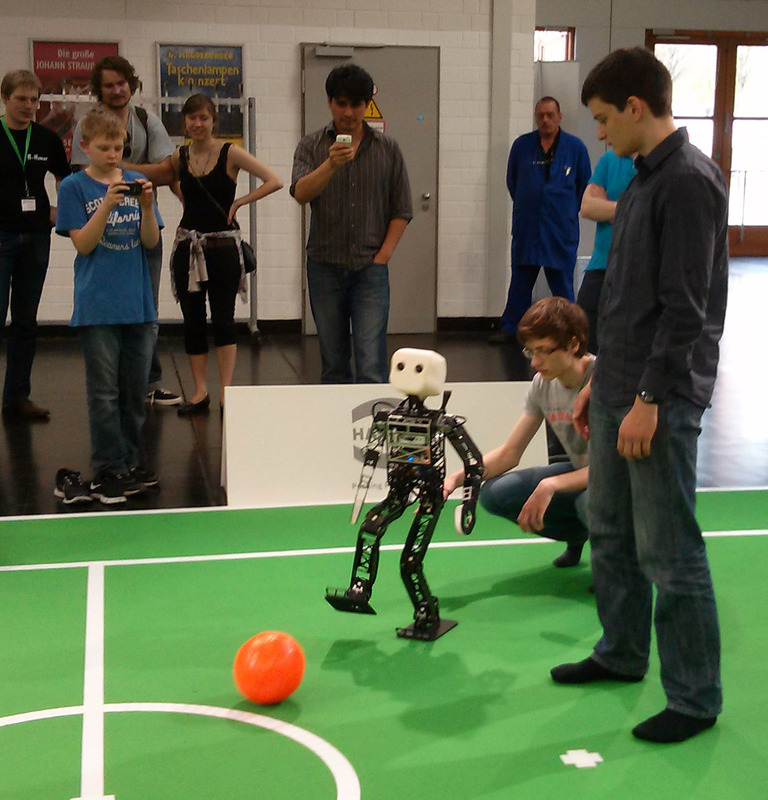 The robot was demonstrated with a first version of the ROS-based software at RoboCup German Open 2013. We gratefully acknowledge the support of German Research Foundation under grant BE 2556/10. 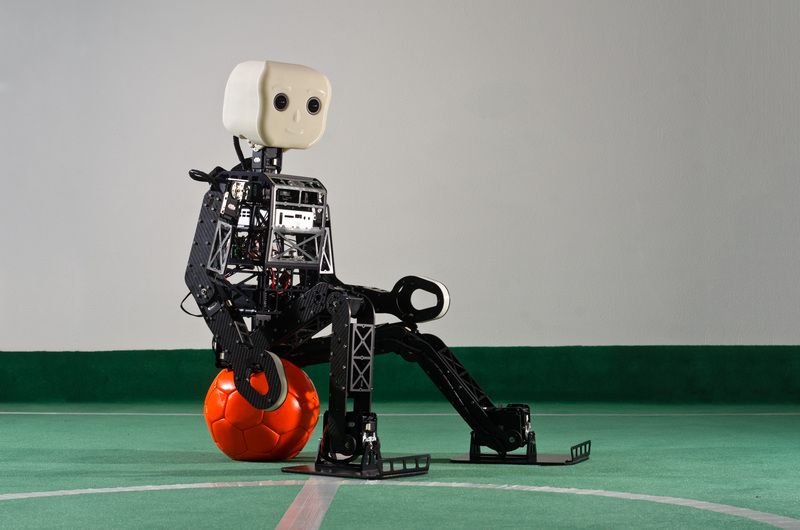 We also acknowledge support of RoboCup Federation and Robotis for the first prototoype.